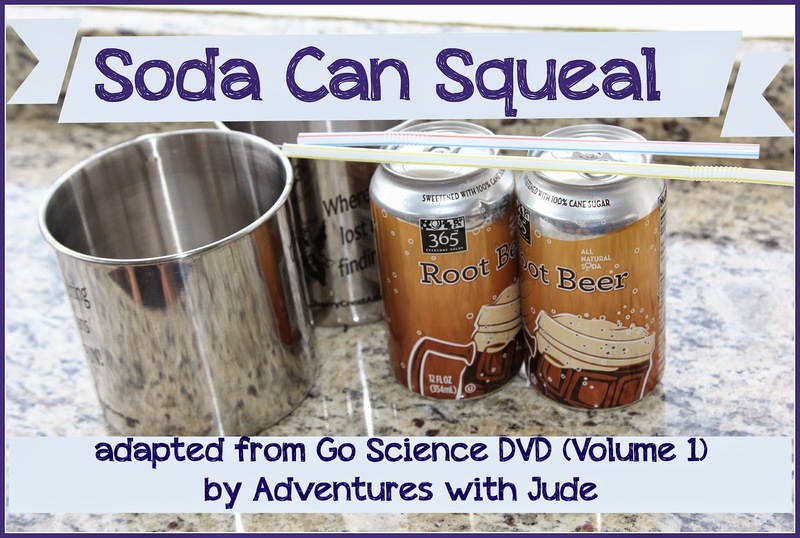 Recently, we had the opportunity to review two DVDs from the Go Science series. 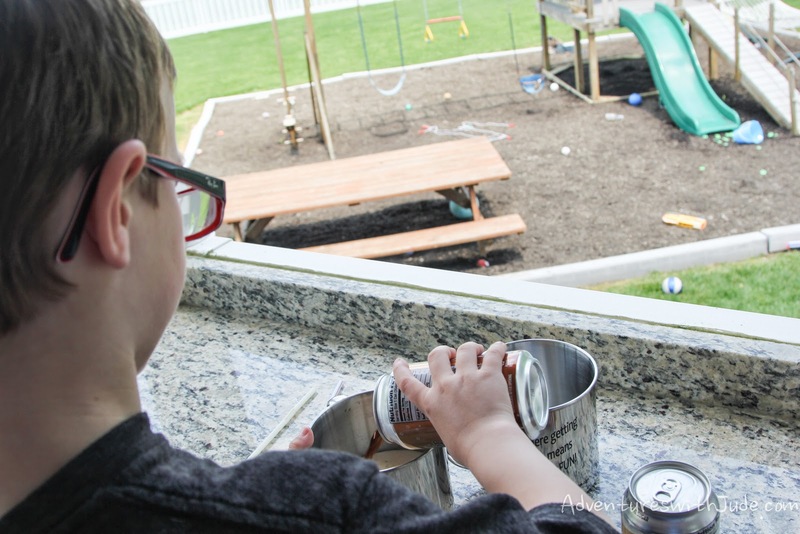 Volume 1 is subtitled Sound, Gravity, Space and one of the experiments that Ben Roy and his students do is to use soda cans to produce a high pitched squeal. Given there was root beer involved and lots of noise (and I think mostly root beer), Jude wanted to try this one right away. Of course, we didn't have any empty cans. Jude solved that problem. 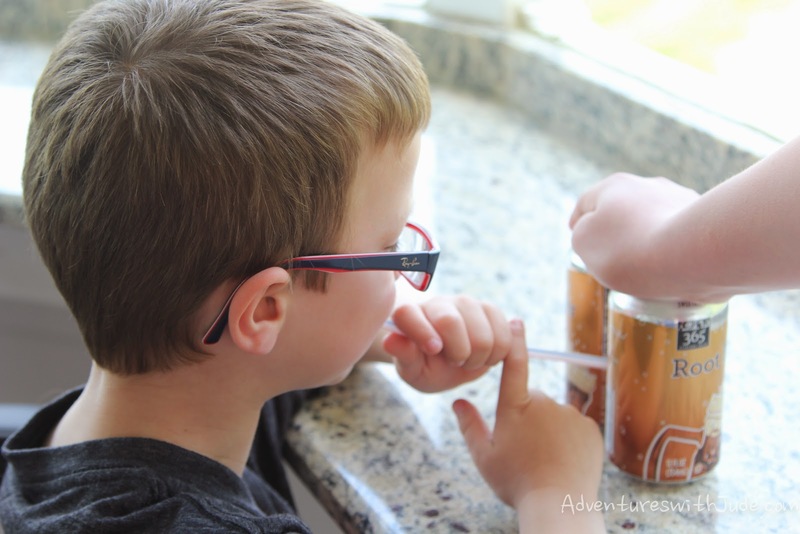 The root beer gave him something to...erm...wet his whistle. 1. Place the two soda cans together, nearly touching. Hold them still so they don't get knocked around or blown away. 2. Place your straw into between the cans, placing the end just where the gap is between the cans. You don't want to put it in front of the cans, but in the space. 3. Blow until you hear a high-pitched screech. It might take a few tries, but keep adjusting how far apart your cans are, and how close your straw is to the gap -- it will happen. Results: If the air is forced out strongly enough, it makes a really loud, spine tingling screech. You need a strong, sharp exhalation, not a long blow. Conclusion: We learned that the air being forced through the tiny space is what creates the noise. 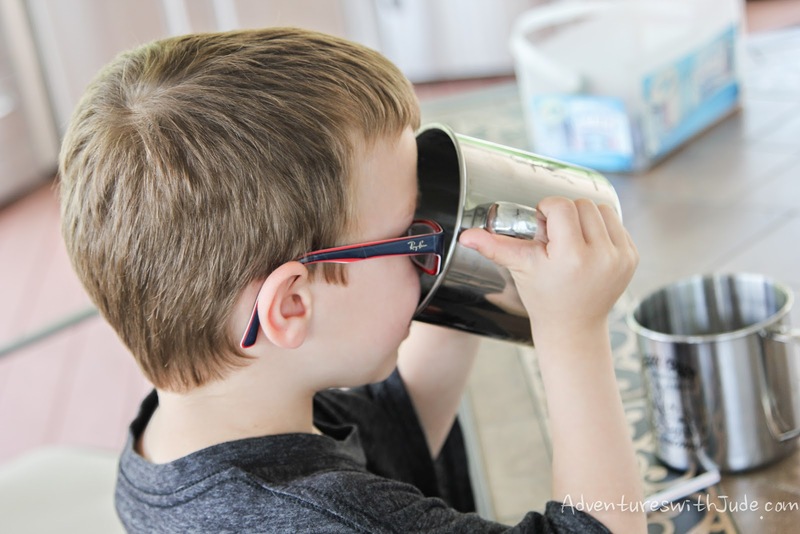 The air makes the cans vibrate, and the vibrations produce sound energy. The straw condenses the air so it is forced into the smaller are, rather than your breath blowing the cans around. If you put them too close together, there's no space for the air to make noise; too far apart and the cans won't vibrate. Be sure to recycle your cans when finished. Another thing we want to do is see if this works with plastic and glass bottles. Oh my. We were selected to sample Zevia sodas, so I'll pin this so we can try it out once we have some empties. I have a feeling I am totally going to regret teaching my kids this one, but I'm wildly curious!